The Chifley Hotel in Potts Point, Sydney is a luxury, newly refurbished hotel providing excellent value for money accommodation in the heart of Potts Point and Kings Cross, close to the Sydney CBD. With spectacular views of the Sydney Harbour and Syndey CBD this hotel accommodation is ideal for leisure or corporate travellers, with great discount rates for people who want to stay near everything that the wonderful city of Sydney has to offer. The Rydges World Square Hotel Sydney has a reputation that is second to none in the heart of Sydney. This 5 star luxury Sydney hotel accommodation is perfectly positioned close to Darling Harbour, World Square & cosmopolitan Oxford Street. The Rydges World Square Sydney provides both leisure and business travellers with affordable luxury hotel accommodation in the heart of Sydney, New South Wales. The Aarons Hotel Sydney is a 3 star affordable hotel accommodation perfectly located right in the heart of the Sydney CBD. This budget Sydney hotel not only has a wonderful central location but also provides value for money discount rates for singles, couples, groups and even families. Located close to Chinatown, Paddy's Markets, Darling Harbour, Star City Casino and the Sydney city centre the Aarons Hotel Sydney is the ideal hotel accommodation for travellers on all sorts of budgets. Servicing Sydney's North Shore and all of the surrounding business districts, including Chatswood, Lane Cove and North Sydney, the Punt Hill North Shore Hotel is conveniently located within easy access to everything that a business of leisure traveller would want. Featuring fully renovated deluxe hotel rooms, restaurant, bar, swimming pool, free car parking and public transport to the Sydney CBD on your doorstep the Punt Hill Hotel Sydney is the ideal choise of accommodation for your next stay on Sydney's North Shore. Located in the heart of Sydney famous Darling Harbour the Oaks Goldsbrough Apartments Sydney is a truly remarkable place to stay. With the perfect combination of unique historical features and modern, luxury facilities the Oaks Goldsbrough Apartment Hotel provides both business and leisure travellers with the choice of spacious studio, 1 and 2 bedroom apartment accommodation in a fantastic central Sydney location. Only a short walk from the Oaks Goldsbrough Apartments is the Sydney CBD, Imax theatre, Sydney Aquarium, Star City Casino and Sydney Convention Centre. Darling Harbour apartment accommodation that the whole family can enjoy. The APX Apartments Darling Harbour provides luxury studios & 1 bedroom self contained serviced apartments which are ideal for both corporate & leisure travellers. At the Quest On Dixon Darling Harbour, guests will not only be in the heart of the CBD but will also have easy access to the commercial hubs of Sydney, many of city's favourite tourist attractions and a short stroll to the gourmet, shopping and entertainment delights of Darling Harbour, Chinatown and the Spanish Quarter and the Sydney Exhibition & Convention Centre. If you are looking for luxury apartments in Sydney then look no further than Kirribilli Apartments Sydney. These apartments are stylishly furnished with quality fittings and offer superb views of Sydney harbour. Located only minutes from Sydney's CBD and close to all of Sydney's major attractions, including the Habour Bridge, Opera House and Darling Harbour, Kirribilli Apartments Sydney provide the perfect luxury accommodation in Sydney. The Park Regis City Centre is an exceptionally well located Sydney hotel which is surrounded by some of the best shopping, entertainment and restaurants that Sydney has to offer. With such a fabulous Sydney location and comfortable hotel rooms which feature King and Queen size beds, air-conditioning, high speed internet connection and LCD color TVs the Park Regis City Centre Hotel is the perfect place for both corporate business travellers and holiday makers on a budget to stay in Sydney. APX World Square offers accommodation apartments ranging from stylish studio, one bedroom apartments through to spacious family sized two bedroom serviced apartments. APX Serviced Apartments not only provides travellers with the best location to stay in Sydney, but also offers them some of the best facilities and services available. Located in Haymarket in the city centre the APX World Square Apartments will delight the most discerning corporate and leisure travellers with its discount apartment rates for longer stays in Sydney, New South Wales. The discount apartment accommodation provided by the Parkridge Corporate Apartments is ideal for the budget conscious holiday traveller or corporate business person who wants to stay within close proximity to the Sydney CBD. Situated adjacent to Hyde Park and only a short walk from the Sydney city centre and the vibrant cafe and restaurant society on Sydney's Oxford Street the Parkridge Corporate Apartments will satisfy your every accommodation need. There is also an outdoor heated swimming pool, sauna and tour desk for use by guests at these affordable Sydney apartments. The Pensione Hotel Sydney offers guests a complete and varied range of discount hotel accommodation options. The hotel rooms at the Pensione Hotel Sydney can accommodation individuals and couples right through to large groups and families in a wonderful, central Sydney city location. If you like being in the heart of the action then the Pensione Hotel Sydney is the place for you with Chinatown, cinemas, night clubs, theatres, Sydney's Centre Point Tower, Darling Harbour and the Sydney Aquarium only a short stroll away from this budget Sydney hotel accommodation. Rydges Parramatta Sydney is a luxury 4.5 star hotel accommodation that has great value for money discount rates available for longer stay by business, corporate, tourist and leisure travellers. The Rydges Parramatta Hotel Sydney is conveniently positioned close to Rosehill Gardens Racecourse, Homebush Bay Olympic Stadium, Sydney Showground and Exhibition Complex, Eastern Creek and only minutes from the Parramatta CBD. Gemini Hotel, Randwick, Sydney is a qaulity hotel providing accommodation close to Sydney domestic & international airports & the Sydney CBD. This budget hotel is the ideal accommodation for both corporate business travellers and leisure holiday guests with discount rates available for for longer term stays in Sydney. The luxury hotel accommodation at the Novotel Sydney Central is ideally located in the heart of the Sydney CBD, suiting corporate, business and leisure clients with excellent discount rates available online. The Citigate Central Hotel Sydney, as the name suggests has a wonderful central city location which means that it is close to all of the major business and tourist attractions that Sydney is famous for. Posh Hotel provides travellers with discount accommodation in the heart of the Sydney CBD, complete with a range of modern amenities such as direct internet access, faxing facilities, lift, room service, security and daily housekeeping. The professional team at the Posh Hotel Sydney is committed to satisfy the needs of every guest, providing outstanding customer service and welcoming every guest with genuine warmth and charm. Fraser Suites and Apartments Sydney provides both corporate business travellers and holiday makers with a range of 5 star luxury studio, one and two bedroom fully self contained apartment accommodation located right in the heart of the Sydney CBD. The Fraser Apartments Sydney is situated close to Darling Harbour, Cockle Bay, Chinatown, the Spanish Quarter and the entertainment hub of George Street and the celebrated Capitol Theatre. Rydges Campbelltown Sydney is ideally positioned in the heart of the Campbelltown CBD and provides guests and locals with a range of quality hotel accommodation, fine dining and contemporary bar complete with working micro brewery. The Rydges Hotel in Campbelltown, Sydney offers both holiday makers and business travellers with discount hotel accommodation that is sure to make you feel right at home. The Rendezvous Studio Hotel Sydney Central located in a convenient Sydney location, directly opposite Central Railway Station on the corner of George and Quay Streets. It is positioned just a few minutes walk to Darling Harbour, Chinatown and the Sydney Convention Exhibition Centre. The Rendezvous Studio Hotel Sydney Central provides holiday makers and business travellers with discount hotel accommodation in Sydney, New South Wales. The Metro Hotel Sydney Central is the perfect discount hotel situated right in the heart of the Sydney city centre. The Metro Hotel Sydney Central has a range of quality hotel facilities, friendly and welcoming staff, a selection of comfortable and affordable hotel rooms and the central location that is appreciated by all types of guests and travellers to Sydney. The Accommodation Sydney Hyde Park Plaza is ideally positioned in the heart of the Sydney CBD just a short walk from the Botanical Gardens, Kings Cross, Town Hall, Darling Harbour, Opera House, The Rocks, Harbour Bridge. For added convenience the ever popular Bondi Beach is only 6 kilomtres away from this affordable property. The Accommodation Sydney Hyde Park Plaza also has numerous guests facilities for your convenience including lounge bar, child minding, direct internet access, guest laundry, gym & fitness equipment, lift, restaurant, sauna, spa, outdoor swimming pool, security, baby cots available and even a babysitting service. 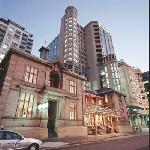 The Macquarie Boutique Hotel Sydney is located right in the heart of Syndey's CBD. This affordable hotel offers budget accommodation for families and couples, with the convenience of being near all of Syndey's major tourist attractions. Air-conditioned and serviced daily our hotel rooms offer you a home away from home whilst you're staying in Sydney. Quality budget accommodation in Sydney's CBD doesn't get any better than the Macquarie Hotel. The wide range of serviced apartments at the Quest Potts Point provide travellers with the choice of quality accommodation in the heart of trendy Potts Point. It comes complete with a range of modern amenities such as lounge bar, direct internet access, disabled facilities, faxing facilities, guest laundry, lift, restaurant, tour desk, baby cots available and daily housekeeping. Quest Potts Point Serviced Apartments Sydney offers quality accommodation in a fantastic city location which suits the discerning corporate and leisure traveller alike. The Waldorf Apartment Hotel Sydney is superbly located in the Sydney CBD and offers excellent value for money, apartment accommodation for both the corporate business traveller and leisure holiday guest. With fully equipped kitchen and laundry facilities the Waldorf Apartment Hotel Sydney has discount apartment accommodation that will feel like your very own home away from home. The Y Hotel City South Sydney is surrounded by some of Sydney's great cafe's and is an easy 8 minute walk to Sydney's Central Train Station. Whilst you are staying at thw Y Hotel City South you can find bargains and great shopping at Broadway and Market City, not to mention all the excitement and nightlife that you can find at Chinatown and nearby Darling Harbour. The historical suburbs of Newtown and Glebe with their great range of unique boutiques and shops are also within walking distance of this affordable Sydney hotel accommodation. The Oaks on Castlereagh Apartments Sydney allows guests to choose from fully self contained studio, 1 or 2 bedroom apartments that feature superior amenities and comfort. Holiday makers and business travellers can visit nearby Sydney attractions including the Opera House, Royal Botanical Gardens and Sydney Tower when they stay at the Oaks on Castlereagh Sydney accommodation. Conveniently tucked away in a quiet street the Mariners Court is a Bed & Breakfast style hotel boasting a delightful internal landscaped courtyard and warm friendly atmosphere. The Mariners Court Hotel offers corporate clients and leisure guests great value for money and is one of Sydney's best-kept secrets. Ideally positioned in Woolloomooloo, Sydney the Mariners Court Hotel provides all travellers with modern services, comfort and a central city location. Situated in Cremorne on Sydney's North Shore the Park Regis Concierge Apartments Sydney provides quality self contained accommodation that won't break your budget. There are full hotel facilities at the Park Regis Concierge Apartments as well as direct access to the on-site shopping arcade, restaurants, coffee shop, a cocktail lounge, pool hall and gaming room. For affordable apartment accommodation that both business executives and holiday makers will enjoy stay at the Park Regis Concierge Apartments in Cremorne Sydney. The discount hotel rooms at the Leisure Inn Suites Sydney provides the ideal place to stay in Kings Cross for the budget conscious traveller. The Lido Suites Hotel Sydney is surrounded by all of the nightlife entertainment, delightful restaurants, cafes and shops for which the Sydney suburb of Kings Cross is known for. The Glenferrie Lodge Hotel Kirribilli is perfectly positioned on spectacular Sydney Harbour. This historic federation property has been recently transformed into quality 3 star budget hotel accommodation with an exceptional friendly casual atmosphere. The Glenferrie Lodge's superb Kirribilli location soaks in wonderful views of the Sydney Harbour and is only a short trip to Circular Quay and the Sydney Opera House by taxi-boat. Great value for money discount hotel accommodation on Sydney's North Shore. The quality 1 and 2 bedroom apartment accommodation at the Waldorf Furnished Apartments in Randwick, comes complete with a range of modern amenities such as direct internet access, free car parking, gymnasium, lift, outdoor swimming pool, tour desk, bbq, 24 hour reception and baby cots available. Setting a new standard of furnished apartment accommodation in this prime Sydney location the Waldorf Furnished Apartments is ideal for short, long and extended business or leisure stays. Located in the Sydney suburb of Chippendale, close to the Sydney city centre, the Waldorf Apartment Hotel Sydney is close to the Broadway retail and entertainment precinct, Sydney Universities, Fox Studios, Sydney Cricket Ground (SCG) and Soccer stadium. The self contained studios and 1 bedroom apartments at the Sydney South Waldorf Serviced Apartments Chippendale are the ideal accommodation for business & holiday makers who want discount accommodation in a great Sydney location. Mantra 2 Bond Street in Sydney provides travellers with discount accommodation in Sydney CBD, complete with a range of modern amenities such as lounge bar, business centre, direct internet access, guest laundry, gym equipment, lift, restaurant, room service, spa, outdoor swimming pool, tour desk, airport shuttle, 24 hour reception, baby cots, babysitting service and daily housekeeping. Perfect for overnight, short-term and long-term business corporate and leisure travellers, the Mantra 2 Bond Street Sydney Apartments offers guests sophisticated, modern and comfortable accommodation right in the heart of bustling Sydney. The Haven Glebe Hotel Sydney is a modern boutique style hotel located in fashionable inner city Glebe, just 1km from the Sydney city centre and Darling Harbour. With trams, taxis and buses at your doorstep all of Sydney's attractions including The Rocks, Circular Quay, Sydney Opera House, Darling Harbour, Star City Casino, Chinatown, Capital Theatre and Central Railway Station are just a few minutes away. With an extensive refurbishment just completed The Haven Glebe Sydney has superior hotel accommodation that offer a deluxe level of comfort and facilities. Staying at the Amora Hotel Jamison in Sydney means that you will be positioned in a central location close to everything that the city has to offer. You can also make the most of the guest facilities at the property including the lounge bar, business centre, conference centre, direct internet access, disabled facilities, guest laundry, fitness equipment, lift, massage, restaurant, room service, steam room, spa, indoor pool, security, 24 hour reception and daily housekeeping. When you stay at the Waldorf Drummoyne Serviced Apartments in Sydney you will be able to make use of the many guest facilities, which includes the direct internet access, faxing facilities, free car parking and baby cots for families. Superbly positioned between Drummoyne and Five Dock, with easy access to everything in Sydney, The Waldorf Drummoyne Serviced Apartments provides, spacious and comfortable Sydney accommodation at less than the cost of a hotel room. When you stay at the Clarion Hotel On The Park in Parramatta you will be able to make use of the many guest facilities, which includes the lounge bar, business centre, conference centre, disabled facilities, faxing facilities, guest laundry, gym, lift, restaurant, room service, spa, outdoor swimming pool, 24 hour reception, baby cots and daily housekeeping. The Clarion Hotel on the Park Parramatta prides itself on professional service with experienced staff on hand to assist with your every enquiry. The Y Hotel Hyde Park Sydney is a great value bed and breakfast hotel with comfy beds, warm and stylish interiors, friendly atmosphere and perfect park side Sydney location. The Y Hotel Hyde Park is surrounded by everything that you could want including great shops, restaurants, Olympic Pool, gym, jogging track, parks gardens and galleries. You can also walk to Darling Harbour, China Town, City Shops, the Sydney Opera House and the world famous Rocks Precinct. At the Y Hotel Hyde Park there are deluxe and traditional style hotel rooms to choose from and the guest facilities include cafe, guest lounge, internet kiosk, guest kitchen and laundry. The wide range of discount hotel rooms provided by the Sleep Express Motel in Homebush, Sydney have beed specifically designed for the budget conscious holiday traveller. The Sleep Express Motel Hotel Sydney is within close proximity to Homebush Stadium and a variety of other sporting and entertainment venues which makes is a wise choice for people needing to stay in Sydney's West in on budget. The Ascot Motor Inn in Wahroonga, Sydney provides modern, comfortable motel style rooms in the North Western Sydney suburbs at discount prices. Situated close to Waitara & Wahroonga train staions, Hornsby Shopping Centre, Koala & Reptile Park the Ascot Motor Inn Sydney is ideal for holiday makers and business travellers needing to stay in Sydney's North West. The range of luxuriously appointed accommodation provided by the Bondi Beach Apartments is within easy walking distance to Bondi Beach and also has numerous guests facilities and services to make you feel right at home. The Bondi Beach Apartments offers superior customer service, luxurious quality accommodation and a convenient location in Bondi, making it such a popular place to stay for both corporate executives and holiday travellers. Accommodation at the Napoleon on Kent consists of spacious and delightfully decorated studio and 1 bedroom apartments. Ideally located in the heart of the Sydney CBD close to Darling Harbour and the Sydney Opera House the Napoleon on Kent Apartments provide the perfect discount accommodation in Sydney for both holiday makers and corporate business travellers. The Quay Grand Suites Sydney has the ultimate luxury harbour front address and provides magnificent all-suite accommodation with superb five-star hotel service. Set majestically on the eastern shore of circular quay, the superbly located Quay Grand Suites Sydney offers guests spectacular views of Sydney's famous Harbour to the Sydney Harbour Bridge, Sydney Opera House, Royal Botanic gardens and city skyline. Each Quay Grand Suite is extremely spacious, meticulously furnished and features a fully equipped gourmet kitchen with integrated laundry and private balcony with stunning views. The Hotel Urban St Leonards is not your normal Sydney hotel. Urban St Leonards provides hotel accommodation with a clear difference, located on Sydney's North Shore. It offers holiday makers and business travellers discount rates on their hotel accommodation as well as close proximity to Luna Park, Taronga Zoo, National Parks, the Sydney CBD and the spectacular Northern Beaches. The Rydges Hotel Cronulla Beach is a luxury 4 star hotel accommodation located directly opposite Cronulla beach. The refurbished restaurant at this quality Sydney hotel offers delicious fine Australian cuisine complete with magnificent beach views across Cronulla Bay. The Rydges Cronulla Beach Hotel Sydney provides holiday makers and business travellers with discount hotel accommodation in the Cronulla district of Sydney. The apartment accommodation supplied by the York by Swiss Belhotel Sydney will not fail to disappoint. Located in the heart of the Sydney CBD these luxuriously appointed studio, 1 & 2 bedroom apartment suites also provide excellent discount rates for guests who wish to stay that little bit longer. The The York by Swiss Belhotel Sydney has everything to make the business or leisure traveller comfortable whilst staying in Sydney. The Metro Hotel Hotel Miranda is situated in the southern Sydney suburb, close to Cronulla beach and is surrounded by shops, restaurants and cafes. The hotel rooms are comfortable, clean and available at budget prices. The Metro Hotel Miranda Hotel Sydney provides both holiday and business travellers with discount hotel rooms in Miranda, Sydney, New South Wales. The Russell Hotel in the Rocks, Sydney is a boutique heritage hotel accomodation that is perfectly positioned in the historic Rocks area of Sydney. This exceptional Sydney location provides guests with a great place from which to explore Sydney and everything that it has to offer. The The Russell Hotel Sydney is the ideal discount hotel for both holiday makers and business travellers alike. The Sebel Manly Beach, Sydney is a luxury, newly refurbished, modern hotel which is located close to Manly Beach, Oceanworld, cafes and boutique shops. This luxury Manly hotel also has easy acces to Sydney CBD which makes it ideal for both holiday makers and business travellers who want the to stay in a beachside location with the convenience of easy city access. Rydges Bankstown in South West Sydney provides superior hotel accommodation in the South-Western commercial district of Sydney, close to Homebush,Bankstown, Liverpool, Milperra, Regents Park, Chullora, Revesby and Parramatta. The Rydges Bankstown Hotel provides holiday makers and business travellers with discount hotel rooms in Sydney, New South Wales. Providing comfort and style in the Sydney suburb of Castle Hill these Quest Serviced Apartments boast modern studio, 1, 2 and 3 bedroom apartment accommodation. Ideally positioned in western Sydney Quest Castle Hill provides easy access to the Norwest Business Park, as well as all that the Sydney Hills district has to offer. The Stamford Grand North Ryde provides the discerning business and holiday traveller with luxury hotel spa suite accommodation in North Ryde. It is an all-suite resort oasis hotel that is set over 5 acres and amidst a lush lagoon, fountains and waterfalls. All of this in the heart of Sydney's second largest business district, North Sydney. The Annam Suites & Apartments Cascata Sydney are a fresh alternative to traditional serviced apartments, reflecting a contemporary lifestyle at unbeatable value. Annam Suites Cascata has been designed to provide both a dynamic living space and a unique experience whether you are a business or holiday traveller to Sydney. Annam Suites Cascata offers travellers serviced apartment accommodation close to the Sydney CBD at exceptional discount rates for extended stays, corporate relocations, conferences, trade shows and family holidays. When you choose to stay at the Metro Apartments on King Street in Sydney you will be able to make use of the many guest facilities, which includes the direct internet access, guest laundry, lift, outdoor swimming pool, tour desk, security and 24 hour reception. This value for money self contained accommodation features a range of 1 bedroom apartments that have been well equipped to make sure that your short or long term stay in the city centre is as enjoyable as possible. The Breakfree on George Sydney provides travellers with discount accommodation in Sydney CBD, complete with a range of modern amenities such as lounge bar, business centre, direct internet access, disabled facilities, faxing facilities, guest laundry, gym equipment, lift, massage, restaurant, room service, tour desk, 24 hour reception, baby cots available and daily housekeeping. The modern apartment-style accommodation offered at BreakFree on George Sydney caters to all needs from those of the corporate business traveller, through to the leisure traveller looking for a romantic weekend escape or a fun filled family getaway. The Quay West Suites Sydney provides guests with accommodation suites and executive penthouses with five-star services and facilities. The Quay West Sydney has set a new benchmark for five-star luxury hotel accommodation with spectacular, uninterrupted views across Sydney's magnificent Harbour or city skyline. Conveniently located in the heart of Sydney's historic rocks area the Quay West Suites Sydney offers guests an unprecedented Sydney hotel experience with a spacious sitting room, choice of one or two bedroom apartment accommodation, stylish bathroom and meticulously equipped kitchen and laundry. If you are looking for very cheap backpacker accommodation in Sydney then the Elephant Backpacker Hostel is the ideal place for you. This property provides budget conscious travellers with discount accommodation in Woolloomooloo and also comes complete with a range of amenities such as disabled facilities, faxing facilities, guest laundry, lift, restaurant, tour desk, airport shuttle, security, 24 hour reception and daily housekeeping. Guests are predominantly youthful backpackers that are either working in Sydney or site seeing, although there are other types of frugal holiday makers as well. Capitol Square Hotel Sydney is centrally located in the heart of the Sydney CBD close to Central Railway station & Sydney's entertainment, cultural, business, shopping and tourist areas. The Capitol Square Hotel Sydney provides holiday makers and business travellers with discount hotel accommodation in Sydney, New South Wales. The Kirketon Hotel is located in the heart of one of Sydney's most happening suburbs, Darlinghurst. The Kirketon Hotel is managed by Eight Hotels is provides luxury boutique hotel accommodation for the discerning corporate or holiday guest. It is ideally positioned on the doorstep of Sydney's cafe, restaurant, bar and nightclub district and also within close proximity to Oxford Street and the Kings Cross train station. The Macleay Serviced Apartment Hotel Sydney is situated in beautiful, leafy Potts Point and is only a short walk from cosmopolitan Kings Cross, Sydney's 24 hour tourist precinct. Our apartment hotel is also located only 5 minutes from Sydney's CBD and is within walking distance of the Sydney Opera House and Circular Quay through Sydney's picturesque Botanical Gardens. The Macleay apartments provide spectacular views of the harbour bridge and provide very affordable apartment accommodation in one of Sydney's premier locations. Sydney Central Hotel on Wentworth is conveniently located in the middle of the Sydney CBD and provides guests with cheap hotel accommodation at unbelievable discount rates. This unique, budget hotel is close to everything that the city centre has to offer and is perfect for travellers who are coming to Sydney on a strict budget. Azure Apartments in Potts Point Sydney provides budget studio apartments & 1 bedroom self contained apartments at discount holiday & business rates. The Azure Executive Apartments Sydney are situated in Macleay St, Potts Point. At the turn of the century, Potts Point was renowned for the beautiful mansions that graced the area and is located twenty minutes by taxi from Sydney International Airport, and five minutes by taxi or a short walk to the Sydney Opera House and the Sydney's Business Centre. Regents Court Apartments is ideally positioned in Potts Point, close to the Sydney CBD. it provides holiday makers and business travellers with quality, boutique studio apartmentaccommodation in Sydney, New South Wales. Regents Court Sydney is located in an original 1920s Art Deco building in the heart of Potts Point, just a stones throw away from the CBD and many other tourist attractions. The luxury 4 ½ star 1 and 2 bedroom apartment accommodation provided by the Sebel Residence Chatswood is extremely spacious and is double the size of the average hotel room. Situated in the heart of Chatswood close to the Chatswood shopping and business district and with easy access by train to the Sydney CBD the Sebel Residence Apartments is ideal for both business executives and family holiday makers. The guest facilities at the Sebel Residence Chatswood is second to none with a 24 hour reception, sauna, spa, swimming pool and tour desk. The APX Apartments Parramatta are located in the heart of the western CBD of Parramatta and is on the doorstep of the entertainment scene, shopping and events in the west. All guests at the APX Apartments have access to complimentary security parking, swimming pool, BBQ facilities, business centre, chargeback facilities from nearby restaurants, restaurant delivery service, dry cleaning service, wireless Broadband, baby sitting service and laundry service. The APX Apartments Parramatta has a selection of luxury studio, 1, 2 & 3 bedroom self contained serviced apartments. When you stay at the UWS Village in Western Sydney you will be able to make use of the many guest facilities, which includes the direct internet access, faxing facilities, guest laundry, outdoor swimming pool, bbq, airport shuttle and security access. Ideally situated on The University of Western Sydney's Parramatta North campus the UWS Village enjoys a safe and secure environment and provides a fantastic opportunity to meet new people. The Maze Backpacker Hostel provides cheap, affordable, budget-style back packer accommodation with some of the lowest rates available in Sydney. There are discounts available for weekly stays and the Maze Backpackers also welcomes long term stays. This cheap Sydney hostel is located in a charming, heritage-listed building and has been housing budget conscious travellers since 1908, when it was one of Sydney's largest hotels. Novotel Sydney Parramatta is a luxury hotel which is perfectly located in the heart of Parramatta. It offers guests a choice of luxury double, queen or king size beds in luxuriously appointed accommodation rooms. Novotel Sydney Parramatta catering for the corporate and leisure traveller, with extensive conferencing facilities, quality hotel facilities and affordable discount hotel rates. The Bayswater Sydney provides travellers with budget accommodation in Kings Cross, complete with a range of modern amenities such as lounge bar, business centre, direct internet access, faxing facilities, lift, tour desk, airport shuttle, security, 24 hour reception, daily housekeeping and express check in/out. The Bayswater Sydney Hotel offers modern, boutique hotel accommodation in an excellent Kings Cross location at an affordable rate. The Garden Lodge Hotel Sydney provides travellers with discount accommodation in Haberfield and comes complete with a range of modern amenities such as disabled facilities, faxing facilities, free car parking, guest laundry, restaurant and tour desk. The Garden Lodge Sydney caters for business corporate travellers with FREE unlimited wireless high speed internet access in all guest accommodation rooms and photocopying services. For comfortable accommodation at an affordable price in a convenient location stay at The Garden Lodge Hotel Sydney. The Great Southern Hotel Sydney is a heritage listed Sydney hotel that is located in the heart of the vibrant entertainment district of the city. With a wide selection of hotel rooms available, a restaurant, public bar, gym and meeting facilities for up to 110 delegates, the Great Southern Hotel Sydney is the perfect place to stay within walking distance of the CBD, Central Station, the CBD, Chinatown, Darling Harbour and Sydney Convention & Exhibition Centres. The Quest Manly Serviced Apartments are perfectly located in the picturesque Sydney seaside suburb of Manly. They are situated opposite the Manly Ferry Wharf and it is only a short stroll from the door of the Quest Manly to enjoy the local restaurants, shops and the world-renowned Manly surf beach. With a range of studio, 1 and 2 bedroom self contained apartments the Quest Manly provides holiday makers and business travellers with the perfect place to stay in Sydney, New South Wales. Staying at the Quest Bondi Junction in Sydney will mean that you can make use of the many guest facilities, including the business centre, conference facilities, internet access, faxing facilities, guest laundry, fitness equipment, lift, room service, secretarial services, tour desk, bbq, garden, babysitting service, free cot hire, luggage storage, photocopying services, concierge service, newspapers, safety deposit box and much more. The Quest Bondi Junction Sydney Serviced Apartments Hote provides contemporary accommodation that delivers excellent standards of service and guest experience. The Comfort Inn Hunts Hotel Liverpool has a range of budget hotel motel rooms and 2 bedroom self contained apartments that will suit holiday & corporate travellers who are looking for discount accommodation in Sydney. The Comfort Inn Hunts Liverpool offers all the comforts of a professional and friendly home away from home, with a choice of well appointed rooms in a great location. The Blenheim Hotel provides travellers with discount accommodation in Randwick, complete with a range of modern amenities such as direct internet access, faxing facilities, guest laundry, lift and daily housekeeping. The Blenheim Randwick Hotel is the perfect accommodation solution for corporate, leisure or hospital visitors to Randwick. Coogee Beach and the Royal Randwick Racecourse are both just 15 minutes walk from the hotel and the Sydney CBD is just a short 20 minute bus ride away. Ideally positioned opposite the Rosehill Gardens Racecourse and close to the Homebush Bay Olympic Stadium, Sydney Showground and Parramatta city centre the Waldorf Apartments Parramatta is ideal for both corporate business travelers and leisure guests looking for a relaxing stay in Sydney's West. With easy access to the Blue Mountians and also the Sydney CBD via the expressway of Rivercat ferry this 4½ star fully self contained, air-conditioned apartment accommodation will meet your every need. With marvellous hotel facilities and friendly, helpful staff the Parramatta Waldorf Apartment Hotel is definitely the place to stay in Sydney. Novotel Sydney Norwest provides travellers with discount accommodation in Castle Hill, complete with a range of modern amenities such as lounge bar, business centre, conference centre, direct internet access, disabled facilities, free car parking, guest laundry, fitness equipment, lift, restaurant, room service, outdoor swimming pool, tour desk, garden, security, 24 hour reception and daily housekeeping. The Novotel Sydney Norwest has a wide range of affordable hotel rooms available for all types of travellers to Sydney. For quality 4 star hotel accommodation in Sydney close to the city centre and the fashionable shops and restaurants of Surry Hills and Oxford Street in Paddington stay at the Rydges Sydney Central. The fully refurbished hotel rooms offers corporate and leisure travelers to Sydney airconditioned comfort at very affordable discount rates. The hotel facilites at the Rydges Sydney Central include an indoor swimming pool, spa, sauna, gym, 2 restaurants, room service, babysitting service, massage room and extensive business and conference facilites. Hotel accommodation within close proximity to the Sydney CBD, Darling Harbour, Star City Casino and public transport to Olympic Park and Telstra Stadium. Positioned in a prime city centre location overlooking picturesque Hyde Park the Oaks Hyde Park Plaza Apartments Sydney offers magnificent views across the park to the Sydney CBD. The Oaks Hyde Park Plaza is only a short stroll from the city's department stores, financial and business districts and major attractions, while just around the corner is fashionable Oxford Street with its cosmopolitan collection of boutiques, cafes, shops and nightlife. The Oaks Hyde Park Plaza is the ultimate in convenient and luxurious Sydney apartment accommodation. City Lodge Hotel provides travellers with discount accommodation in Sydney CBD, complete with a range of modern amenities such as lounge bar, guest laundry, tour desk, airport shuttle and daily housekeeping. The City Lodge Hotel caters for business corporate travellers with FREE wireless high speed internet access in all guest accommodation rooms, faxing facilities and photocopying services. For comfortable accommodation at an affordable price in a convenient location in Sydney, make a reservation at The City Lodge Hotel. The Metro Apartments on Darling Harbour is, as the name suggests, in the enviable location of Sydney's waterfront wonderland of Darling Harbour. This fantastic Sydney apartment accommodation will delight both business and holiday travellers with it's close proximity to the Sydney CBD, Chinatown, Imax Theatre, Star City Casino, Circular Quay, Sydney Harbour Bridge and many other Sydney attractions. When you stay at the Checkers resort and Conference centre in Sydney you will be able to make use of the many guest facilities, which includes the lounge bar, conference centre, direct internet access, disabled facilities, free car parking, guest laundry, gym & fitness equipment, restaurant, room service, sauna, spa, outdoor swimming pool, tennis court, tour desk, baby cots available and daily housekeeping. A day/night driving range and championship golf courses are located up the road. For business or pleasure, Checkers Resort and Conference Centre, with fantastic facilities at affordable rates, is the obvious choice. The Rendezvous Hotel Sydney The Rocks is situated in the heart of Sydney's historic Rocks district. This means that guest who stay at the Rendezvous Hotel will be only a short walk from the Sydney Harbour Bridge, Circular Quay, Sydney Opera Housem, Sydney CBD and the many fine dining restaurants in The Rocks. The self contained apartment accommodation provided by the Rendezvous Hotel Sydney The Rocks will suit corporate business executives, leisure holiday makers and family relocations. Sydney's Highfield Private Hotel provides all types of travellers with discount accommodation in Potts Point, complete with a range of modern amenities such as direct internet access, tour desk and airport shuttle. Conveniently located in the heart of the city centre the Highfield Hotel Sydney is positioned close to all attractions and has been specifically designed to meet the many needs of tourists and corporate business travellers alike. The Morgans Boutique Hotel provides all types of travellers with discount accommodation in Darlinghurst. It comes complete with a range of modern amenities such as lounge bar, conference centre, direct internet access, faxing facilities, guest laundry, lift, tour desk and bbq area. Morgans Boutique Hotel in Sydney caters for business corporate travellers with FREE WIFI in the reception and is close to everything that Sydney has to offer. Swissotel Sydney is a luxuriously appointed hotel featuring stylishly furnished hotel suites, exceptional service and great guest hotel facilities. The Swissotel Sydney is a deluxe hotel located in the heart of the Sydney city close to businesses, restaurants, shops, public transport, Darling Harbour and all of the major tourist attractions of Sydney. Camperdown Serviced Apartments in Camperdown also has numerous guests facilities for your convenience including free car parking, guest laundry, baby cots for families, non-smoking throughout, free wifi throughout, free wifi in all public areas and non-smoking rooms/apartments. When you stay at the Neutral Bay Serviced Apartments in Sydney you will be able to make use of the many guest facilities, which includes the free car parking, guest laundry, baby cots for families, non-smoking throughout, free wifi throughout, free wifi in all public areas and non-smoking rooms/apartments. Further guest facilities and services include FREE WIFI, a lift/elevator and cot hire. Housekeeping is provided on a weekly basis. Children under 12 years STAY FREE OF CHARGE when using existing beds. Camperdown Apartments provides travellers with discount accommodation in the Sydney suburb of Camperdown. Accommodation at the property is clean and comfortable and the apartments also come complete with a range of modern amenities such as disabled facilities, guest laundry, lift and express check in/out. The Sydney Camperdown Apartments are ideally positioned only 2 minutes drive from Sydney University and Broadway Shopping Centre and also the vibrant Newtown district is just a short 15 minute walk away. The Camperdown Apartments are also an 8 minute drive from the renowned Sydney Fish Market. When you stay at the Quest Campbelltown in Sydney you will be able to make use of the facilities which includes the business centre, conference centre, direct internet access, disabled facilities, faxing facilities, free car parking, guest laundry, gym & fitness equipment, lift, room service, bbq, baby cots available, babysitting service and daily housekeeping. Quest Campbelltown Serviced Apartments Sydney provides holiday makers and corporate business travellers with affordable serviced apartment accommodation in South West Sydney. If you are looking for luxury hotel & suite accommodation in the middle of the North Sydney business district then look no further than the Rydges Hotel North Sydney. Specifically deisgned to meet the needs of the discerning leisure and business traveller the Rydges North Sydney Hotel is only a hop, skip and a jump away from views of the spectacular Sydney Harbour Bridge & Sydney Opera House. The Sydney apartment accommodation at the Comfort Inn & Suites Burwood ranges from deluxe hotel rooms right through to fully self contained studio, 2 bedroom and townhouse apartments. The Comfort Inn & Suites Burwood is perfectly located close to everything that Sydney has to offerm including the Homebush Olympic Stadium, Sydney CBD and Sydney Airport. Both corporate and leisure guests will appreciate the spacious, moderm accommodation as well as the central Sydney location. The Calabash Bay Lodge in Berowra Waters is a popular place to stay in Sydney and also has numerous guests facilities for your convenience including direct internet access and bbq facilities for guests to use. The property has many accolades including Unique Accommodation Gold Winner at the 2012 Greater Sydney Tourism Awards, Unique Accommodation Finalist in the NSW Tourism Awards 2012 and a top luxury pick in Fairfax's 52 Good Weekends Away list of 2011. 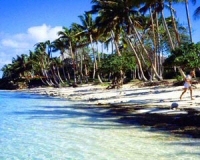 All accommodation rates are for exclusive private rental of the fully self-contained property. Accommodation Sydney Rockdale provides travellers with discount accommodation in Rockdale, complete with a range of modern amenities such as child minding, direct internet access, free car parking, guest laundry, pets allowed, bbq, landscaped garden, security access, baby cots, babysitting service and express check in/out. With a bus stop just outside the front door and a train station 500m away, the Rockdale Sydney Apartments offer great value apartments in an excellent Sydney location. The popular Marco Polo Motor Inn provides travellers with discount accommodation in Summer Hill, Sydney. The property comes complete with a range of modern amenities such as free car parking, room service, security and daily housekeeping. The Marco Polo is fully licensed and also has business facilities including free unlimited wireless broadband internet in each room, faxing facilities and photocopying services. The Absolute Waterfront Apartments provides travellers with discount accommodation in Homebush Bay, just a short distance from the Sydney CBD and other suburbs. This quality accommodation is dedicated to providing service for Sydney's corporate accommodation needs. The Absolute Waterfront Apartments caters for short or long-term stays and is particualr good for business trips to Sydney because all of your needs are taked care on at The Absolute Waterfront Apartments. Quest Serviced Apartments North Ryde offers modern, newly refurbished studio apartments, as well as larger 1 & 2 bedroom self contained serviced apartments, all complete with excellent facilities and the friendly service that you would expect from a quality accommodation property. The Quest North Ryde Apartments provides holiday makers and business travellers with discount accommodation a great Sydney location. Bellagio By the Sea provides travellers with discount accommodation in Collaroy Beach, complete with a range of modern amenities such as direct internet access, faxing facilities, guest laundry, fitness equipment, lift, sauna, secretarial services, spa, tour desk, garden, indoor pool, airport shuttle, security and baby cots for hire. The Bellagio By the Sea Serviced Apartments Hotel offers luxurious quality accommodation in a beautiful Collaroy Beach location, making it ideal for business or pleasure stays. The Westend Backpackers cwis a funky central sydney accommodation that offers budget style hostel rooms for travellers from all over the world. The Westend Backpackers is the TNT Golden Backpacks Finailist for Best Backpackers in NSW for 2007, 2008 & 2009 and provides youth travellers, back packers, students and groups a friendly place to stay in the heart of the city centre. Located just minutes from the international terminal and opposite the domestic terminal, the Stamford Plaza Sydney Airport Hotel features spectacular views over Botany Bay, the Sydney CBD and the Sydney domestic airport. The Stamford Plaza Sydney Airport Hotel has a number of guests facilities and services including Lounge Bar, Business Centre, Conference Centre, Direct Internet Access, Faxing Facilities, Guest Laundry, Gym, Lift, Restaurant, Room Service, Sauna, Spa, Outdoor Swimming Pool, Tour Desk, Airport Shuttle and 24 Hour Reception to make you feel right at home. The Watsons Bay Boutique Hotel provides travellers with discount accommodation in the waterfront Watsons Bay area of Sydney. The accommodation comes complete with a range of modern amenities such as lounge bar, conference centre, direct internet access, disabled facilities, free car parking, lift and restaurant. Located in a truly spectacular waterfront setting, the Watsons Bay Boutique Hotel has been designed with the highest standard of architecture, ambience, furnishing and ornamentation. When you stay at the Best Western Twin Towers Inn in Sydney you will be able to make use of the many guest facilities, which includes the lounge bar, conference centre, direct internet access, faxing facilities, free car parking, guest laundry, restaurant, room service, spa, outdoor swimming pool, airport shuttle, 24 hour reception and daily housekeeping. So if you are looking for professional service, excellent accommodation and a convenient location in Artarmon, then make a reservation at Best Western Twin Towers Inn today. Quality Hotel Sands provides travellers with discount accommodation in Narrabeen, complete with a range of modern amenities such as lounge bar, conference centre, direct internet access, disabled facilities, faxing facilities, free car parking, guest laundry, gym & fitness equipment, lift, restaurant, room service, tour desk, 24 hour reception, baby cots available and daily housekeeping. The Quality Sands Hotel & Apartments, Narrabeen caters well for the corporate business traveller as well as leisure guests. When you stay at the Cambridge Lodge in Sydney you will be able to make use of the many guest facilities, which includes the direct internet access, disabled facilities, guest laundry, tour desk, bbq facilities, landscaped garden, airport shuttle and key card security access. The Cambridge Lodge provides travellers with comfortable, clean and security budget hostel accommodation combined with friendly service and excellent hotel facilities. The Ultimate Apartments Bondi Beach provides indiciduals, couples and families with studio apartment accommodation only a short walk from Sydney's world famous Bondi Beach. Also the Sydney CBD is easily accessible by public transport from the Ultimate Apartments Bondi Beach. The fulyl self contained apartments accommodation at the Ultimate Apartments comes compelte with free off street security cart parking, free Foxtel and use of the swimming pool and sun deck. The Quest Cronulla Beach provides corporate business travellers and holiday makers with affordable studios, 1 & 2 bedroom self contained serviced apartment accommodation. Quest Cronulla Beach is one of the newest self contained apartments in the area and even offers discount rates for longer stays in this beachside suburb of Sydney. The Chifley Hotel Penrith is based at the foot of the Blue Mountains in Sydney's West. The luxury hotel & spa suites at the Chifley Hotel Penrith has heavy discounts available for longer stays making it ideal for holiday makers, sporting groups and business travellers wanting quality accommodation in Western Sydney. The Devere Hotel Potts Point Sydney is ideally situated in the trendy bayside suburb of Potts Point, renowned for its flamboyant reputation featuring some of Sydney's top restaurants, cafes, and a 24-hour entertainment precinct. Buses to Circular Quay and Sydney Central stop at the Devere Hotel's front door and the Kings Cross Train Station only a few minutes walk away. The Sydney Opera House, Circular Quay and Rocks district is a leisurely 30 minute walk from the Devere Hotel Sydney. When you stay at the Avonmore on the Park Boutique Hotel in Sydney you will be able to make use of the many guest facilities, which includes the direct internet access, disabled facilities, free car parking, guest laundry, garden, 24 hour reception, baby cots available and daily housekeeping. The Avonmore on the Park Boutique Hotel Sydney is an award winner property that provides travellers with outstanding accommodation in the Randwick city and close to hospitals, businesses, shops and restaurants. The accommodation provided by the Motel 10 Bankstown comes with numerous guests facilities for your convenience including direct internet access, faxing facilities, free car parking, guest laundry, room service, garden and daily housekeeping. There are also lots of business facilities including free wireless internet in all rooms, a business centre and photocopying services. The Motel 10 Bankstown gives guests excellent service at discount budget pricing. The Bondi Beach Breeze 3 bedroom apartment provides exceptional Sydney accommodation for large familes staying in Sydney on business or relocating to Australia's largest city. All of the fixtures and fittings in this spacious Sydney apartment have been exclusively selected and lend a distictive air of luxury to the accommodation. Features such as a gourmet chef's kitchen, european appliances, stone benchtops, zen-buddah lounge, private home office fully equipped with business facilities and a rooftop swimming pool with panoramic ocean views from Bondi Beach to the Sydney Harbour Bridge. Quality Hotel CKS Sydney Airport is a 3 star hotel accommodation at the Sydney International Airport. Ideally located only 3 minutes to the Sydney airport & 9kms to the Sydney CBD this great value family hotel is gauranteed not to break the budget. The Quality Hotel CKS Sydney Airport provides holiday makers and business travellers with discount hotel accommodation and a courtesy airport shuttle bus. Newport Mirage Hotel, Newport, Pittwater is ideally positioned on Sydney Northern Beaches and provides quality waterfront hotel rooms in the heart of Sydney's Northern Beaches on the tranquil shores of Pittwater. This makes the Newport Mirage Hotel Sydney the ideal hotel for holiday makers and business travellers. The Diamant Hotel Sydney offers guests a world of breathtaking hospitality combined with friendly and helpful staff. The Diamant Hotel Sydney has a selection of luxurious hotel rooms located in Potts Point with spectacular views and world class hotel facilities. The Diamant Hotel Sydney provides holiday makers and business travellers with discount hotel stays in Sydney, New South Wales. The Milner Gardens Townhouse is conveniently situated in Artarmon on Sydney's Lower North Shore and is only 1 traffic light away from the Sydney Harbour Bridge. This fully self contained touwnhouse apartment can accommodate up to 10 people with 3 spacious bedrooms, separate lounge and dining area, air-conditioning, free double garage car parking and a location close to the Artarmon train station and the Westfield and Chatswood Chase shopping centres. Grand Mercure The Hills Lodge Hotel is a 4.5 star corporate suite accommodation hotel ideally located in the Castle Hill district of Sydney. Within close proximity to the Norwest Business Park and Hills Industrial Estate the Grand Mercure The Hills Lodge Hotel provides holiday makers and business travellers with great value for money discount hotel accommodation in the Castle Hill area of Sydney. The Apartment Hotel Sydney's 150 Apartment provides residential style apartments in the one boutique complex, which are offered for executive and holiday accommodation. These stylish apartments are ideal for travelers who appreciate space, style and the convenience of facilities within their individual apartments. Located right in the hub of cosmopolitan Sydney, this boutique development was recently designed by world renowned architects Engelen Moore. The Fiori Apartments are located in the heart of the Parramatta CBD, Sydney and provide 4 star studio, 1 & 2 bedroom self contained apartment accommodation which is ideal for business, leisure & corporate guests. The Fiori Apartments Sydney offer discount accommodation rates for those people looking to stay long term in the thriving West of Sydney. The Wyndel Apartments in Crows Nest, Sydney offer 1 bedroom self contained and fully furnished apartments at discount prices. The Wyndel Executive Apartments are located in St Leonards newest boutique premier apartment building and provides one of the best value accommodation around for both holiday makers and business travellers. Situated in Penrith at the base of the picturesque Blue Mountains the Penrith Valley Inn offers discount leisure, sporting & corporate accommodation in a range of budget priced hotel and motel style rooms. With so many activities and sight seeing locations nearby the Penrith Valley Hotel is a great place to relax and enjoy Sydney's West. Ashfield Manor B&B is centrally located within 5 minutes of local shops, clubs and restaurants. There is also public transport on the doorstep, which makes the city centre, Sydney Harbour, Olympic Stadium, Acer Arena and Olympic Village all very accessible. Ashfield Manor Bed and Breakfast is a budget B&B sytle motel providing accommodation in Sydney at great value for money discount rates. The Indigo Executive Apartments Milsons Point, Sydney features designer furniture, Queen bed plus double sofa bed, private balcony, air-conditioning and a fully self contained kitchen and laundry. The two bedroom executive apartments also have extensive Lavender Bay views, King & 2 King single beds and 2 bathrooms for added convenience. Located in Milsons Point on Sydney's North Shore the Indigo Executive Apartments provides discount accommodation close to everything that Sydney has to offer. The Mantra Apartments Parramatta has beed designed and purpose built for the corporate and tourism markets. This luxuriously appointed 4 star international hotel and serviced apartments is located in the centre of Parramatta's business district and features comfortable king size beds and daily newspapers delivered to your door. Travellers have a choice between luxurious hotel suites with kitchenette facilities or fully equipped apartment accommodation with separate living areas, kitchenettes and private laundry facilities. Other hotel facilities include heated outdoor pool, spa, gym, sauna, turkish bath, under cover parking (subject to availability), ironing facilities, data port, 24 hour reception, 24 hour room service and guest laundry, internet kiosk & conference room facilities for up to 200 guest, Restaurant & Cocktail Bar. The Balmain Backpacker Hostel is one of Sydney's best budget accommodation with cheap rates available for those people who want to stay in the city and are open to meeting new and friendly people. Balmain Backpackers Hostel is surrounded by 24 hr pubs, funky cafes, markets, groovy shops and lively nightlife, all in Rozellcw which is 5 kms east of the Sydney CBD. North Shore Studio Apartment is conveniently located in Northorn Sydney, in between the Sydney city centre and the beautiful northern beaches of Sydney. With easy access to all of Sydney by bus, train, ferry or taxi the North Shore Apartment in Frenchs Forest provides families and corporate business travellers with discount accommodation in Sydney, New South Wales. The Manly Oceanside Accommodation is able to provide holiday makers for grat value for money hotel accommodation only 100 metres from Sydney's world famous Manly beach at very affordable discount rates. All of the motel rooms are comfortable and feature air-conditioning, ensuite bathroom, TV, tea and coffee making facilities and all linen provided. For hotel accommodation in a wonderful Sydney location that won't break the budget stay at the Manly Oceanside Accommodation Sydney. The Mercure Sydney Liverpool provides holiday makers and business travellers with discount hotel accommodation in Sydney, New South Wales. The Mercure Liverpool Hotel in West Sydney is for those travellers looking for the very best accommodation in the reqion with stylish spacious & light filled rooms and first class facilites. The Home Backpackers is situated in Surry Hills and offers budget hostel backpacker accomodatio at discount rates. Located just a few steps from Central station the Home Backpackers has everything a top Sydney backpackers hostel should have and heaps more. Home Backpackers offers clean, comfortable budget backpacker accommodation right in the heart of Sydney and a jam packed line up of entertainment each night. The Catolina Apartments North Sydney provides corporate executives and holiday makers with stylish 1 bedroom apartment accommodation complete with wonderful views of Sydney available. Situated in the North Sydney CBD the Catolina Apartments are only a short walk to public transportto the Sydney CBD as well as many cafes, restaurants and shops. The Hotel Stellar Apartments Sydney is a 4 star boutique serviced apartment hotel situated in the heart of Sydney City just off Oxford Street. The beautifully appointed apartments are a treasure to all travelers with generous sized accommodation rooms available at a very affordable discount rates. Holiday makers and families will enjoy the city location of the Hotel Stellar Apartments overlooking Hyde Park and within easy walking distance to Darling Harbour, The Rocks, Sydney Opera House, Chinatown and the Royal Botanic Gardens. Accommodation at the Manly Beachside Apartments Sydney comes in the form of clean, comfortable, budget studio apartments. Located only minutes from the magnificent Manly beach the Manly Beachside Apartments are also close to all of Sydney major tourist attractions. This discount Manly accommodation is ideal for holiday makers and is gauranteed not to break the budget. The Waldorf Apartment Hotel Pennant Hills, Sydney is a contemporary stylish 4 star apartment hotel with new standards of spaciousness and offering accommodation for both short or extended stays in Sydney's West. The unique Waldorf Apartment accommodation offers luxurious and affordable self contained hotel serviced and furnished apartment accommodation for business, leisure travellers and family holidays at affordable rates. The Comfort Inn North Shore Sydney is a family owned and operated hotel in a blue ribbon location less than 7kms north of Sydney's CBD. All of the accommodation rooms have been refurbished with an eye for detail and feature Queen Beds, Mini Bar, Foxtel and Broadband Internet access. The Comfort Inn North Shore's location is the perfect Sydney base with express CBD buses nearby and easy access to the corporate and shopping centres of Chatswood, North Sydney and North Ryde. Albert and Victoria Court Hotel is conveniently positioned in the heart of Potts Point, Sydney and provides guests with boutique B&B style hotel accommodation which prides itself on making you feel like your at home. The Albert and Victoria Court Hotel Sydney is ideal for holiday and business guests and is close by are The Rocks, The Art Gallery, The Australian Museum, Hyde Park and Darling Harbour. The Portofino Apartments North Sydney provides stylish executive accommodation which ranges from comfortable 1 bedroom apartments to spacious 2 bedroom apartments with views of water and the surrounding district from you own private balcony. Situated in a great North Sydney location the Portofino Apartments is close to public transport, cafes, restaurants and shopping centre, which makes it ideal for the busy executive or family. The Roslyn Garden Apartments Elizabeth Bay, Sydney is located in leafy Elizabeth Bay only minutes from the Sydney Harbour foreshore, Kings Cross and public transport to the Sydney CBD. The friendly staff at the Roslyn Garden Apartments are all local residents so they can help with any questions that you may have about Sydney. All of the studio apartments contain their own ensuite bathroom, fully equipped kitchenette, free broadband internet access and overlook the central garden area. If you are looking for an alternative to expensive hotels and apartments then stay at Pacrim Apartments Sydney. We offer a variety of quality apartments in prime Sydney locations right next to the city centre in the lower North Shore of Sydney. Pacrim Apartment provide fully furnished, fully equipped apartments with all linen, crockery, utensils and necessary appliances provided. For your next visit to Sydney stay in the comfort of one of Pacrim's spacious apartments. Great value family and corporate apartment accommodation in Sydney. If you are looking for budget hotel accommodation in Sydney close to all of Sydney sightseeing attractions then stay at the Central Railway Hotel. The hotel is centrally located close to Chinatown, Circular Quay and the Central Railway Station, the heart of Sydney's transport system. also Sydney's glorious beaches, including Bondi Beach, is an easy 30 minute drive away. Our budget Sydney hotel offers affordable accommodation for families, couples and singles in an ideal location close to Sydney's CBD. The Metro Inn Ryde hotel is situated in one of Sydney's most lively and interesting suburbs, Ryde. Our hotel is only 20 minutes from Sydney's CBD and only 7 kms from Olympic Park and Homebush Bay. The hotel rooms at the Metro Inn Ryde are beatuifully furnished, air-conditioned and feature all of the facilities that you would expect from a quality hotel. Guests at the Metro Inn Ryde hotel can also enjoy a meal in our licensed restaurant, order room service, cook their own BBQ or relax in our swimming pool. The Parkside Apartments in Parramatta provides luxury, furnished apartment accommodation for both short and long term stays in Sydney. The Parkside Apartments are only a short walk from the Parramatta business district and are ideal for business travelers or vacation rentals. The modern and spacious living areas with air-conditioning, fully equipped kitchen, 2 bathrooms and private balcony help to make this self contained discount accommodation feel like a home away from home. The best value for money 2 ½ Star budget accommodation in Sydney CBD is the Central Private Hotel Sydney. We offers both budget hotel rooms, which are popular with price conscious travellers, and standard hotel rooms, which are spacious and feature full private facilities. Our hotel is right next to the Central Railway Station and is an easy 10 minute walk to ChinaTown, Darling Harbour, Paddy's Markets, Sydney Town Hall, Sydney Cricket Ground and Football Stadium, Hyde Park and the CBD. Budget Sydney hotel accommodation at it's very best. The Parkview Hotel Sydney is located opposite Victoria Park, Broadway and is close to the cosmopolitan suburb of Glebe, Sydney. The hotel is also situated close to Sydney University, the Footbridge Theatre, the Seymour Centre and is only a 15 minutes walk to Central Station and Chinatown. The Parkview Inn provides discount, budget Sydney CBD accommodation for individuals, couples, corporates and families. The North Shore Hotel Sydney offers affordable hotel accommodation in the central Sydney suburb of North Sydney. The hotel is situates directly opposite St Leonards Park and North Sydney Oval, which makes it a fantastic base for exploring everything that Sydney has to offer. Our Sydney hotel provides country style guesthouse accommodation which is both charming and refreshing. Nearby to our hotel is many different forms of public transport, including bus, train and ferry, which provides you with easy access to Darling Harbour, Circular Quay and Sydney's CBD. Quest Bella Vista provides travellers with discount accommodation in Bella Vista, complete with a range of modern amenities such as lounge bar, conference/meeting/banquet facilities, facilities for disabled guests, faxing facilities, free car parking, guest laundry, fitness equipment, lift, restaurant, room service, bbq, garden, baby cots for families, designated smoking area, daily housekeeping, laundry/ dry cleaning service, non-smoking throughout, free wifi throughout, free wifi in all public areas, luggage storage, photocopying services, concierge service, newspapers, safety deposit box and non-smoking rooms/apartments. The Quest Bella Vista offers guests a relaxed and comfortable Bella Vista accommodation experience for overnight visits or for short or long stays, ideal for both the corporate and leisure travellers. The Caulta Apartments Sydney provide a selection of quality, fully furnished apartments for short or long-term stays. These Sydney apartments are ideal for business travelers or vacation rentals and are situated in the Sydney suburb of Parramatta. The apartments are spacious, comfortable and modern, include all of the facilities that you would expect to find in a quality apartment and are located within easy walking distance of restaurants, shops, cafes, pubs and nightclubs. Fantastic apartments in Parramatta, Sydney at budget prices.